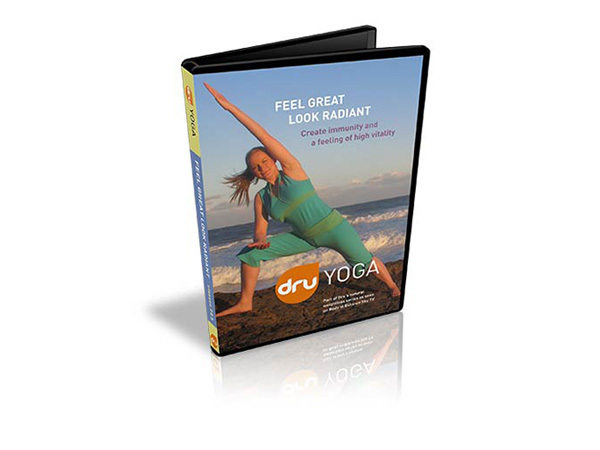 Dru Yoga and Meditation DVDs: Discover the benefits of Dru - on your screen, right at home! Design your own home yoga practice with a versatile choice of programmes to strengthen your body, relax your mind and open your heart. Dr Mansukh Patel draws on his wide-ranging background - as a youth in Kenya's Rift Valley, as a cancer toxicologist, and one of Europe's foremost presenters of heart-based spirituality - to delight and inspire the viewer and reveal the practical teachings of this ancient yogic text for our present day. This DVD brings you powerful techniques designed to enhance your energy, strength & power to create stillness in a stressful world. With stronger sequences this series of 13 quick, easy-to-do practices is ideal for anyone looking for a more dynamic yoga session.